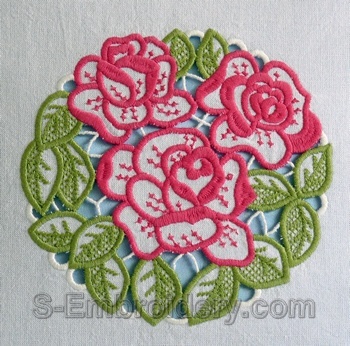 This machine embroidery set includes 2 flavors of a nice roses cutwork lace embroidery - a color and a mono color version. 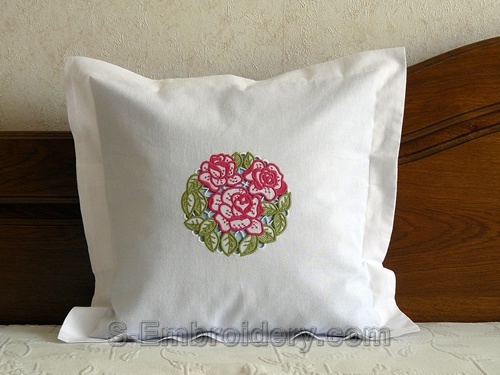 The design is available in 2 sizes - a small (for 5x7 hoops) and a large one. 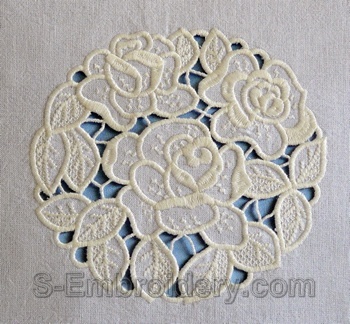 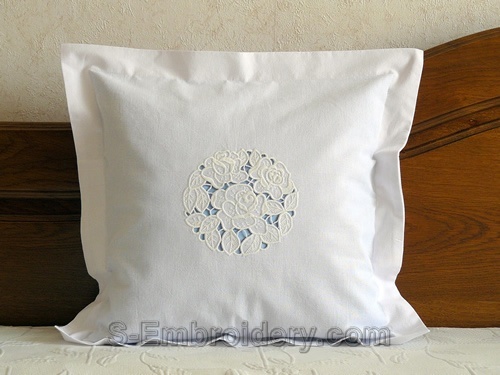 You receive 2 machine embroidery files and 2 PDF files with design information and instructions for creating cutwork lace embroidery decorations.